I was looking for a small table centerpiece recently and after searching around and either not finding anything I liked or not wanting to pay a ton of money, I decided to make my own! 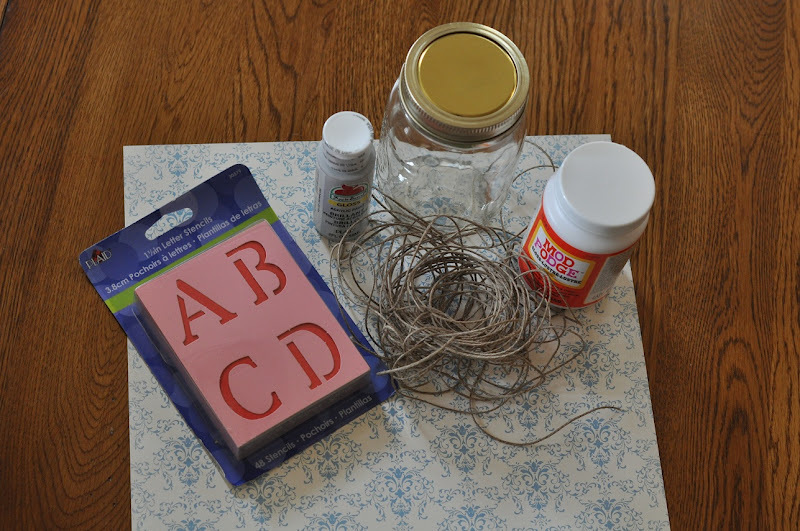 With just a few simple supplies from Plaid and Walmart, I was able to create a beautiful mason jar centerpiece that I just love! Plaid sent me a box of supplies that Walmart is now carrying in a Plaid Crafts section of the store and I was excited to try the new items out on my centerpiece. I also bought a container of pint jars for my project. So, here's how easy it is to make your own mason jar centerpiece. You can customize it however you want, and I think it would be so pretty to make several of them and line a long table in coordinating colors and patterns! 1st, paint your jar. 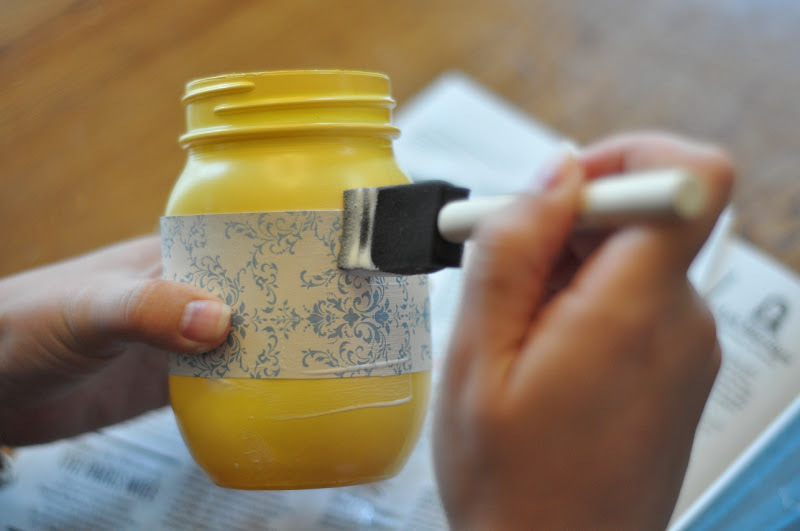 You can paint it by hand, you can spray paint it, whatever you do, just paint the jar. Pick a pretty color while you're at it. 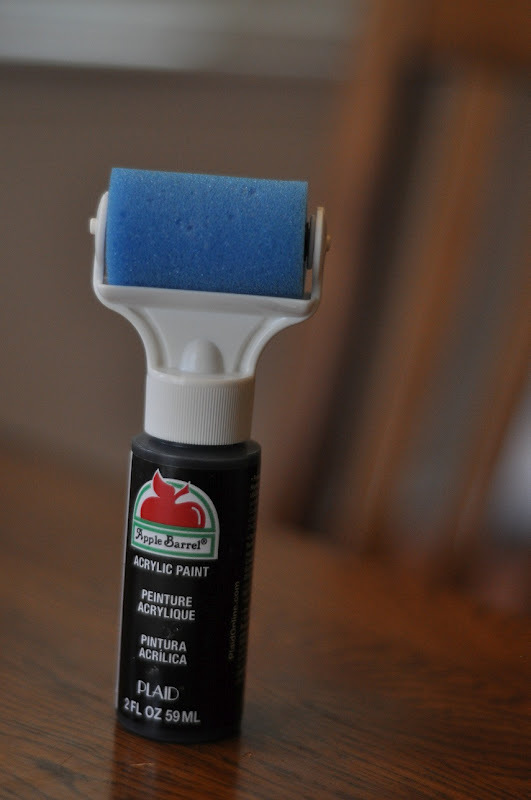 It might take several coats for the jar to have full coverage. 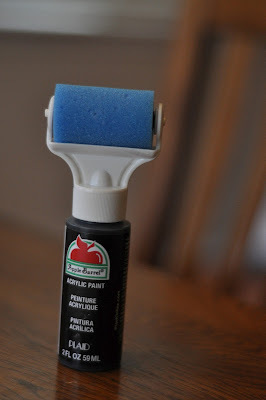 These Plaid attachments that fit perfectly onto their paint bottles came in handy for me. Love it! 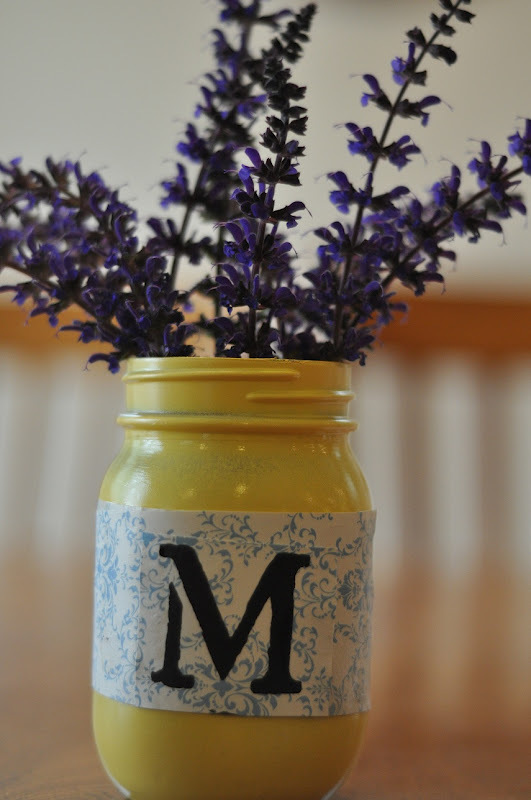 After I painted my mason jar (and it had dried! 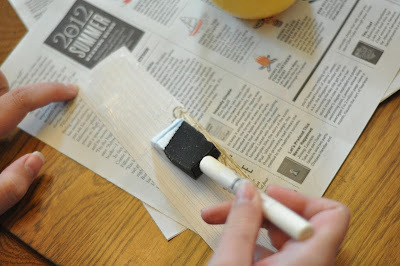 ), I cut a strip of patterned paper and brushed mod podge onto the back of it. 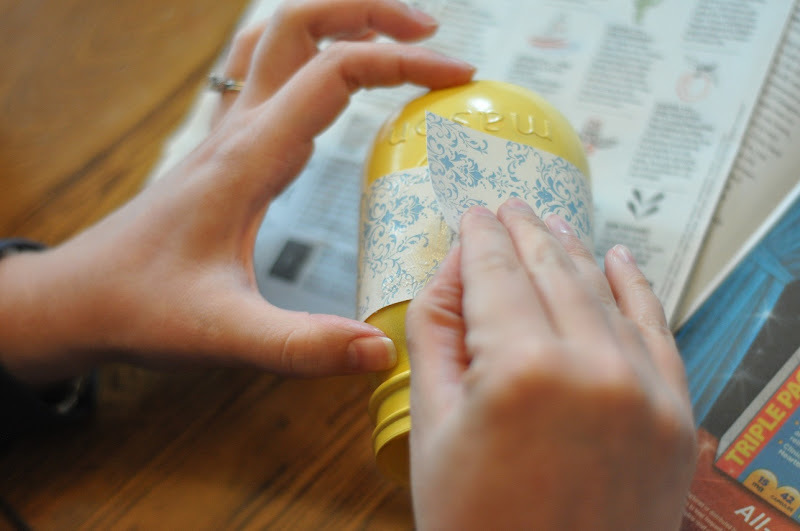 Then I attached the paper around the mason jar and glued it together where it matched up. 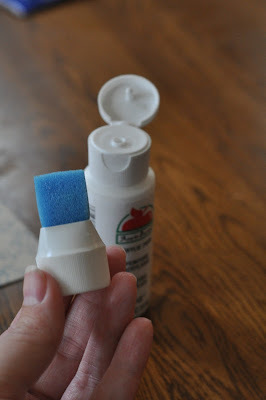 After the paper was on the jar, I brushed over the paper with more mod podge so it would really flatten out and adhere to the jar. 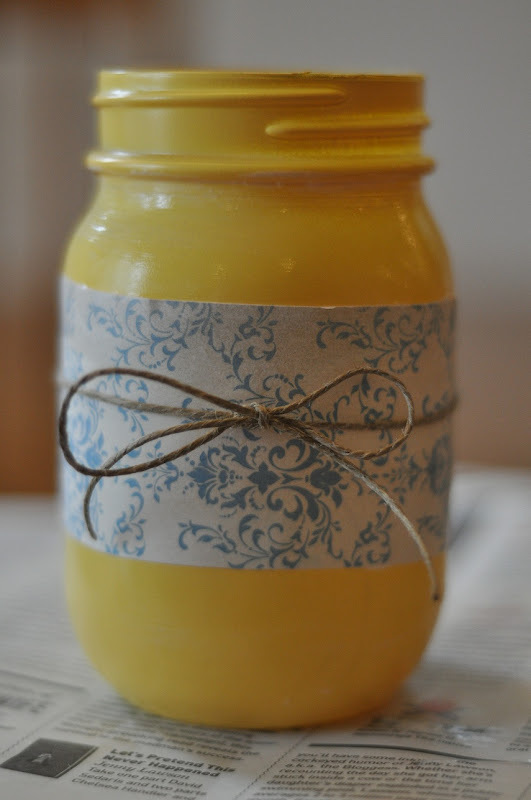 After that had dried, I wanted to embellish my jar with a little twine ribbon wrapped around it. Finally, I snipped some flowers out of my yard and added them to the jar. 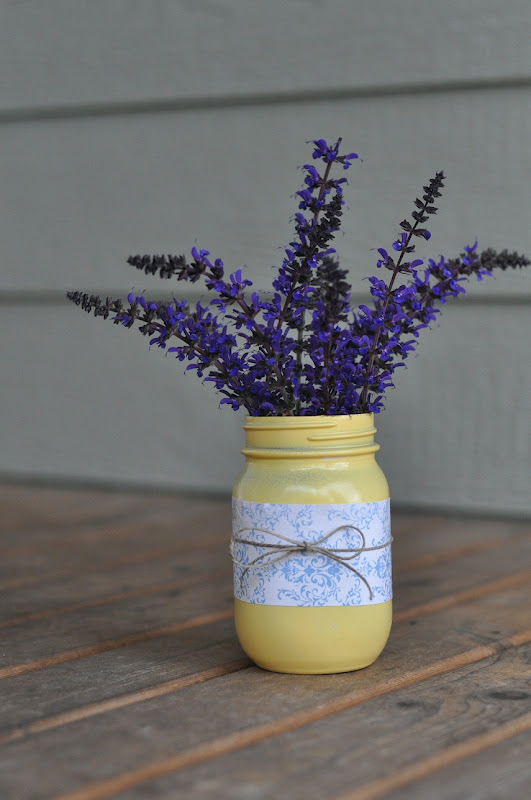 You could actually add soil and a plant to the jar if you wanted to keep it around for a while. There it is. You have an easy, simple centerpiece. Now go make some more to give as a lovely house-warming gift, or for a dinner party or just to line a long table with. I also made another version that had a monogram stencil on it. I received some stencils from Plaid, so I just used that along with the acrylic paint and the brush attachment. I painted the stencil right onto my patterned paper. This would be such a great idea to give as a gift or if you wanted to personalize centerpieces for a wedding or other event. For more fabulous craft ideas and for information on Plaid, visit Plaid on Facebook and Twitter. 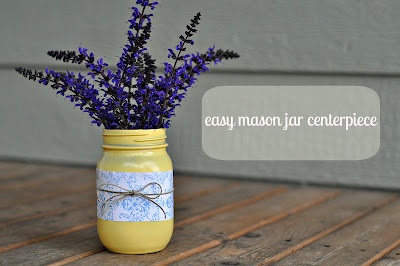 Your mason jar vase looks perfectly simple! It turned out so pretty, love the color combo! 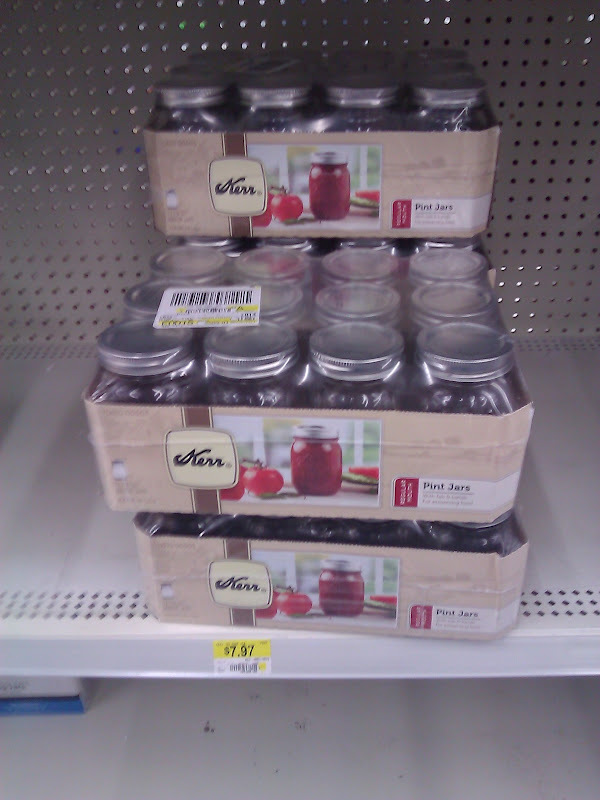 Is that where you can find the Plaid paint bottle attachments, at WalMart? Yes, Walmart has them. There are several different varieties. 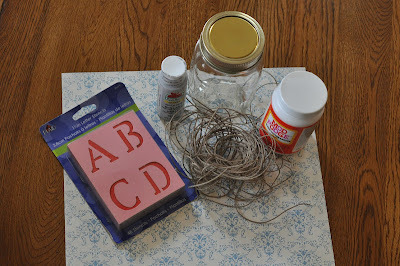 So many ideas 4 mason jars! I see you r on pinterest! I am addicted! Great inspiration for my art & all other areas in life :)Great Blog! So pretty! Love the color and how simple it is to achieve such a beautiful craft. Cute and simple. I like that.Thanks you for sharing your project. Pinning and sharing.